We Now Offer NAD+ IV Therapy and Oral Supplementation! NAD+ is being referred to as a “Breakthrough in Brain Health!” and academic centers, including Harvard’s Center for Aging, are looking closely at its benefits. It is a crucial amino acid and coenzyme that is found in every cell of your body. As fundamental mediator of brain function, it has been shown to restore cellular production of energy (ATP) and repair DNA (PARP). It literally repowers the power plants of our cells: our mitochondria. NAD+ is produced in abundance during youth and declines as we age. As we grow older, certain genes can be triggered that accelerate degenerative aging processes. This can result in symptoms such as chronic fatigue, loss of mental clarity, depression, stress, anxiety, and various other chronic illnesses. A critical factor in this process is NAD+, which enables the transfer of energy from the foods we eat to vital cell functions, especially in the brain. We are now discovering that by optimizing our health we can increase our NAD+, but we can also directly replenish our NAD+ both orally and via IV therapy. What does NAD+ do in our body? What are the Benefits of Intravenous NAD+ (NAD+ IV therapy)? 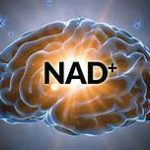 NAD+ reacts with oxygen in the mitochondria of our cells and is responsible for the production of energy in our brain cells and the stimulation and production of neurotransmitters and hormones such as dopamine, serotonin, and more. Increasing NAD+ levels is shown to stimulate the production of energy and neurotransmitters responsible for better mood and overall function. Increasing levels of this important coenzyme in the body has been shown to boost neurologic function, restore mental clarity, support brain regeneration and repair, and increase energy metabolism on a cellular level. NAD+ may also help improve symptoms of anxiety, fatigue, and depression. In one such research study from the Birkmayer Institute for Parkinson Therapy in Vienna, Austria, NAD+ (the main ingredient in NAD+ovim) was administered to 205 patients suffering from depression with 93% of patients exhibiting a beneficial clinical effect. Studies also suggest that NAD+ may slow the aging process, leading to a healthier and younger-looking you! NAD+ IV therapy has been found to benefit individuals in addiction and recovery programs by helping to reduce cravings, restoring nutrients typically lost in substance abuse, and promoting brain repair. Specializing in Integrative & Functional Medicine, Dr. Dawn DeSylvia and her team are able to offer the best of conventional medicine alongside the most effective and innovative alternative care modalities. Dr. DeSylvia brings over 15 years experience in Integrative and Alternative Medicine to her practice.